A comic book about an unlikely masked gunman who kills criminals for bizarre reasons. A filmmaker who helmed Keanu Reeves’ modern-day action classic. It’s the kind of deal that seems too perfect to be true. But it is: John Wick director Chad Stahelski will be adapting Ed Brubaker and Sean Phillips’ Kill or Be Killed for the big screen. The Hollywood Reporter broke news of the deal, which has screenwriter Dan Casey attached. Brubaker, who wrote for season one of HBO’s Westworld, has a number of creator-owned works currently in development, including noir magic property Fatale and pulp supervillain tale Incognito, whose screenplay has also been written by Casey. 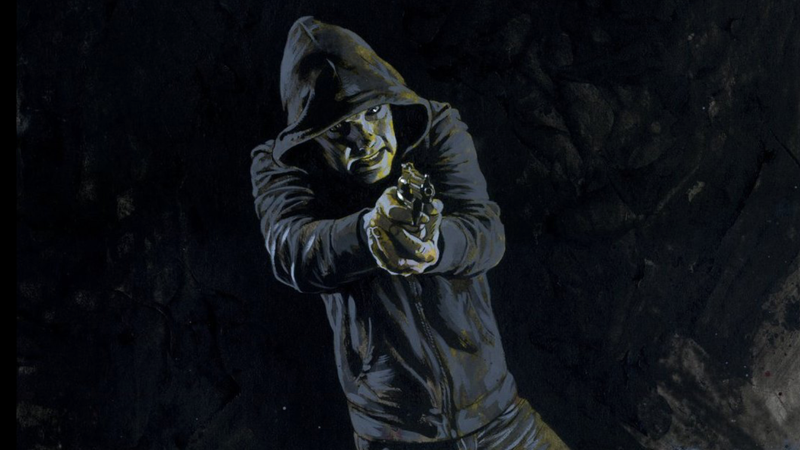 At first glance, Kill or Be Killed—which is put out by the creative team of Brubaker, Phillips, and Elizabeth Breitwiser—looks like yet another iteration of the gun-wielding vigilante trope. But the series has actually been a well-rendered deconstruction of the archetype. It’s taken a deep look at the fear and psychology that might drive someone to kill, and the regret and adrenaline rush that comes with getting away with it. If the film adaptation doubles down on these elements, a Kill or Be Killed adaptation could be a very different kind of action movie.